Many of you have probably already heard about Yammer. For those who don’t know, Yammer is an enterprise social network that was acquired by Microsoft. 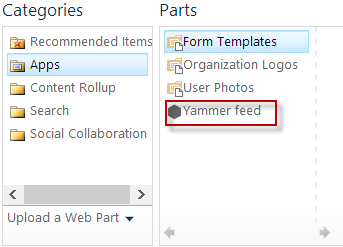 Currently, Yammer integrates into SharePoint 2013 via an app displaying Newsfeeds. The installation of Office 365 could not be more simple since just get the application and add it to the desired page! 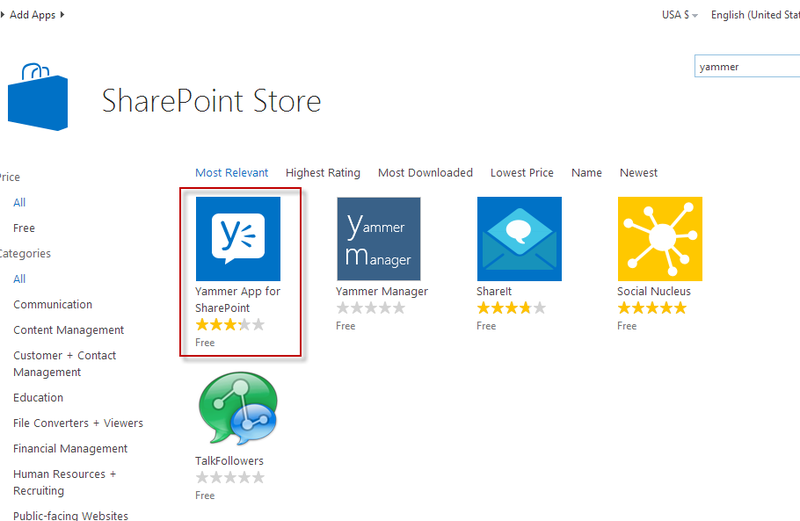 Look for “Yammer” and as proposed, go see the results on the SharePoint Store. 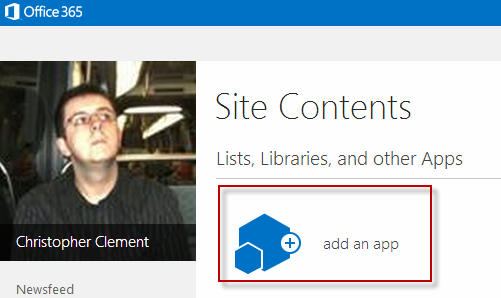 Once the application is downloaded, you can add the WebPart. Once the connection is done​, you can choose what you want to display. Depending on what you want to see, we can specify a group id or a page url. Conclusion: I hope that the following versions of the app will allow true integration. Having a newsfeed is a little “light” to actually talk about integration.